The cenotes are the entrance to the underwater rivers of the eastern part of the Peninsula of Yucatan. 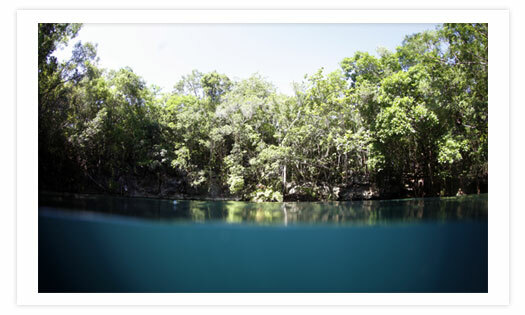 We make a couple of dives in the cenotes, normally we make the same spot on two different routes. The cenote is choose depends on the divers abilities. There are cenotes with light, cenotes with stalactites, halocline (change of salinity), darker cenotes, cenotes with fossils, etc. Is a unique experience. 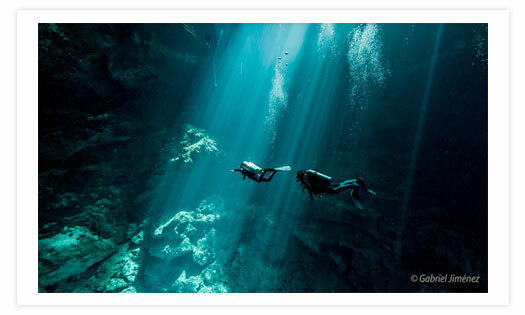 The only place in the world you can dive the CENOTES is in Quintana Roo, Mexico. The temperature of the water in the caverns is 24-25 C/ 76 F.. The regular cenote depth is between 10 m/35ft to 14m/45ft. There are deeper cenotes as the PIT and Angelita that you can dive until 40 m/ 130 ft.
Meeting Time: 8 : 00 am . Leaving Time : 8 : 20 am . Return Time: Between 12 : 30 to 13 : 30 ( depends on the cenote ) . Air tanks ( Nitrox available on request ) . ( in case you need to be pick up please let us know . Sometimes there is an extra charge, depends where are you staying ) . Not included : Equipment, tips . 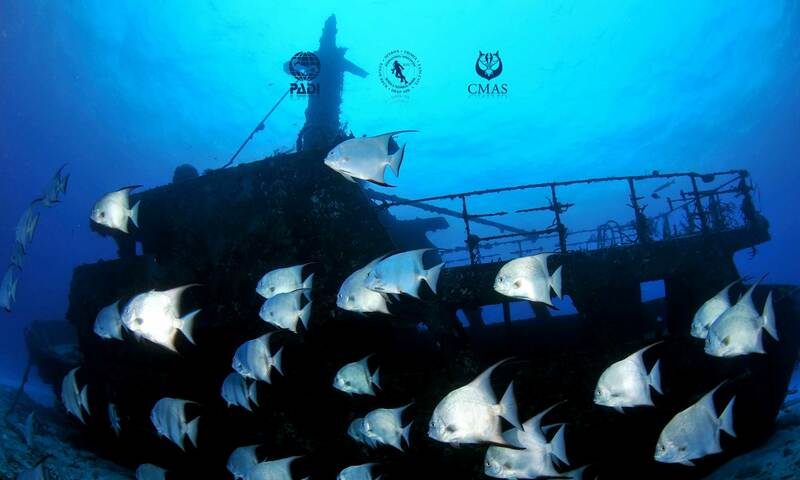 If you are not diver and you want to join your friends, family or couple, this is the best our you can do. The cenotes are the entrance to the underwater rivers of the east part of the Peninsula of Yucatan. Depends of the day we visit one spot with two or three cenotes. Is not just snorkeling, is a visit to the jungle, looking animals and birds of the area. There are cenotes with light, cenotes with stalactites, halocline (change of salinity), darker cenotes, cenotes with fossils, etc. The only place in the world you can snorkel in the CENOTES is in Quintana Roo, Mexico. The temperature of the water in the caverns is 24-25 C/ 76 F.
Meeting Time : 8 : 00 am . Return Time : Between 12 : 30 to 13 : 30 ( depends on the cenote ) . Equipment : ) mask, snorkel, fins and wet suit ( .